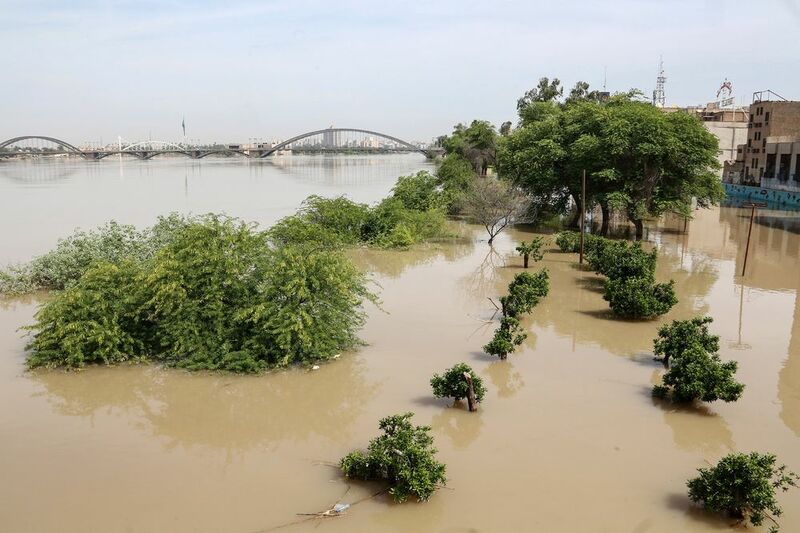 Floods in Ahvaz, the capital of Iran’s southwestern province of Khuzestan. Khorasan Razavi, Khorasan Shomali and Khorasan Junoubi in Iran’s northeast and Sistan-Baluchistan, Bushehr and Hormuzgan in the south, including the island of Qeshm, will be affected by a weather front starting as soon as Saturday night and continuing into Sunday, Vazife is quoted as saying. Khorasan Razavi, home to Iran’s second-largest city Mashhad, expects an “unprecedented” level of rainfall of above 50 millimeters (2 inches) in some areas, Vazife said. Iranian officials have said that U.S. sanctions are blocking the Red Crescent from accessing aid money from overseas. So far the United Nations, Kuwait, Germany and the European Union have airlifted medicines, food and equipment — water pumps, tents, bedding and boats — to reach the provinces of Mazandaran, Golestan, Ilam, Lorestan and oil-rich Khuzestan. 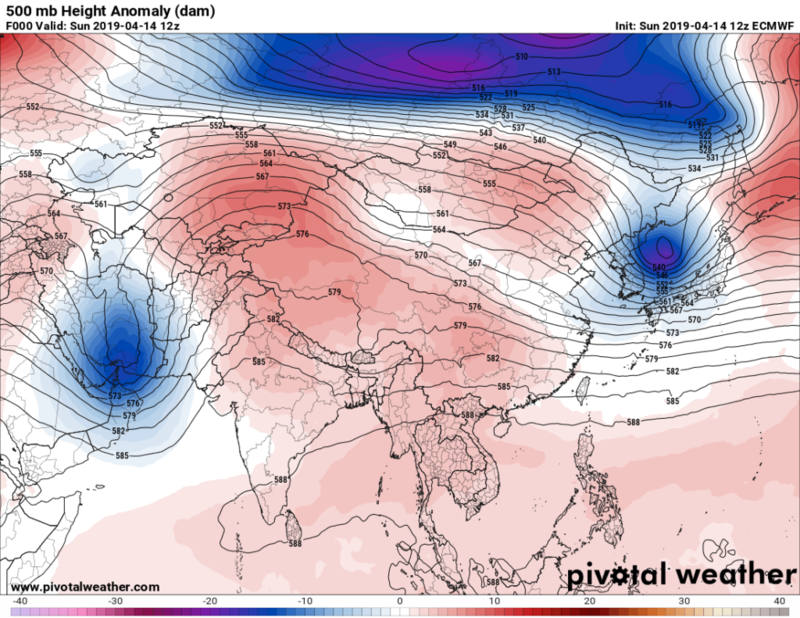 Most of the rest of Asia has higher than average heights except for Russia as of this Sunday. I suspect that divots or cold upper lows forming and moving south of warm ridges have been the predominant weather pattern for Iran this spring. Remember what I’ve written about a weakening, meandering jet stream? Such a pattern should be more common as the globe warms; thus, the climate change tie in.